the host was very friendly and waited until my arrival. You can pay cash or by card. Parking is safe within enclosed court. Everything was great. Our hostess was waiting to open the parking garage and bring us to our HUGE accommodation. The windows were open to let in fresh area and everything was neat and tidy. The apartment is centrally located in Presov, close to our friend’s apartment. The restaurant served good meals and the service was excellent. Other good restaurants and cellar bars are nearby. The apartment is spacious and very comfortable. The apartment was large, cozy, very clean and in a great location walkable to all of the sites. The manager Peter was extremely helpful and went above and beyond. I would definitely recommend this place for families. We had a large double bed and a single for my child. Breakfast was made to order and delicious. 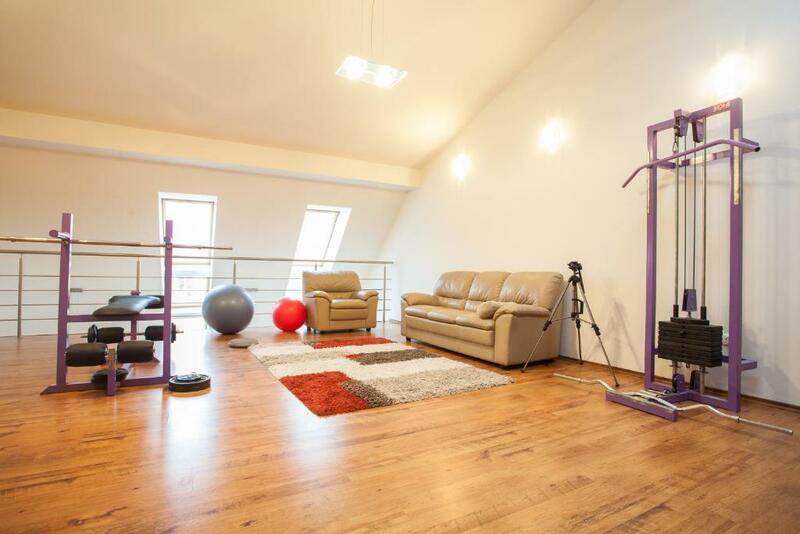 This is a spacious apartment with 3 double rooms, 2 large bathrooms and a large kitchen and large dining area. It was always well heated, beds were comfortable. It had a small gym on the second floor plus another seating area, and a third level in case you wanted to spread out. There would be plenty of room for 6 adults. There were 4 of us part of the stay. Quite reasonably priced for the facilities. The owner Renne was very helpful and welcoming. I would recommend this apartment for a group. 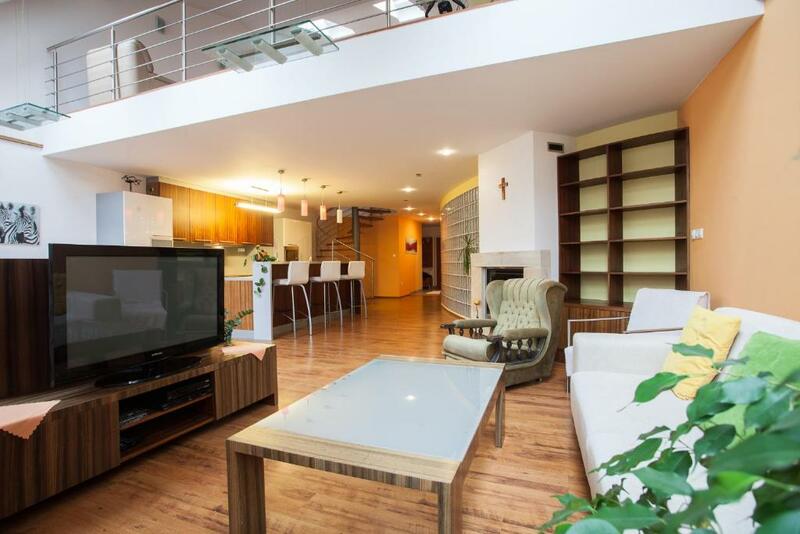 Great location in the heart of the town, apartments are situated in interesting historical building, wine cellar downstairs and a restaurant are nice bonus. Apartment and bed comfortable, it is nice to stay here. The host and all staff are helpful anytime and very kind. Everything. Place was cheap, comfortable, and the staff went above and beyond. Rene gave me a lift to where I need to go after I missed my bus. Amazing guy and amazing place. Everything was perfect; very big apartment, clean, well-located in the city centre, plus it was easy to contact the owner. Nice, large room. Located in the center of town. Fully satisfied. We stayed in the large studio apartment, which was stylish, clean and well appointed. A good bathroom, comfortable bed, and the room had good windows with a view onto the main square. There was a refrigerator in the room, but without a freezer (which I needed for maintaining frozen packs for medication while traveling) but the staff were very obliging in putting these packs in the restaurant freezer, and coming in especially on the final morning to return them to us. Thank you - over and beyond! Secure parking was very welcome and easy to access from the rear street. We enjoyed our stay. Lock in a great price for Apartmany Kolegium – rated 9 by recent guests! Apartmany Kolegium This rating is a reflection of how the property compares to the industry standard when it comes to price, facilities and services available. It's based on a self-evaluation by the property. Use this rating to help choose your stay! 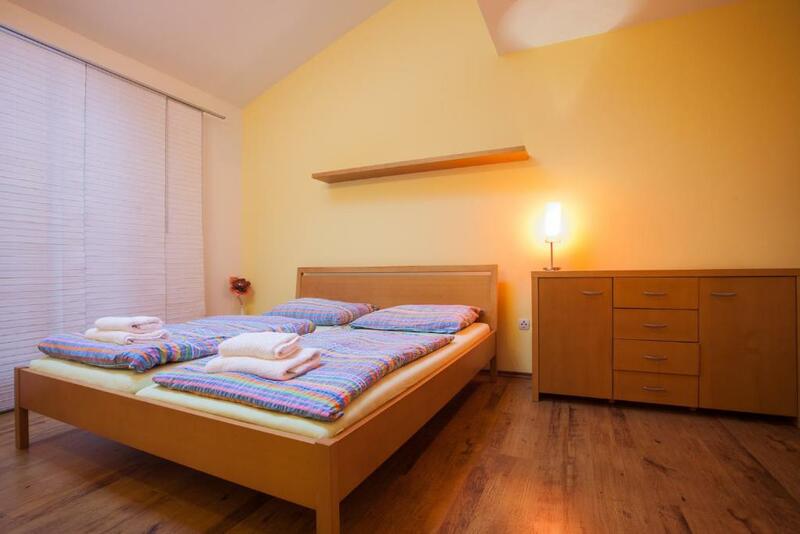 Located in Presov city center on Hlavna Street, Apartmany Kolegium offers free WiFi in all areas, free private parking and a wine cellar on-site. St. Nicholas Concathedral is a 2-minute walk away. 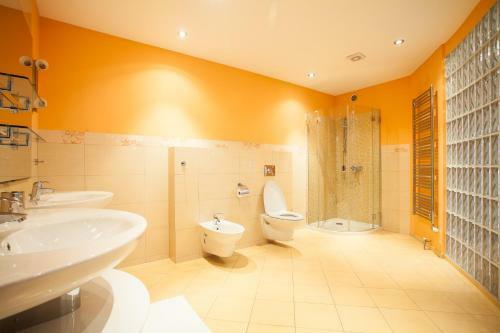 The units at the Kolegium are all individually furnished and feature a private bathroom with a bath or a shower and a flat-screen satellite TV. 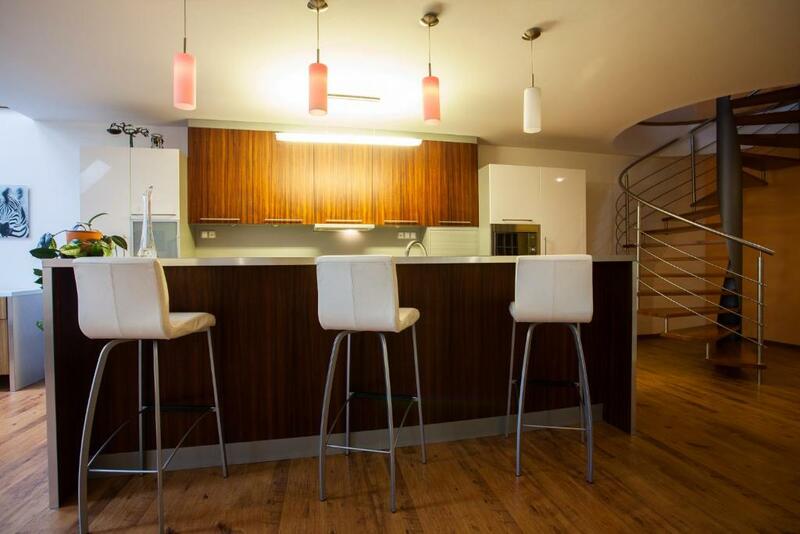 The apartments offer a fully equipped kitchenette. 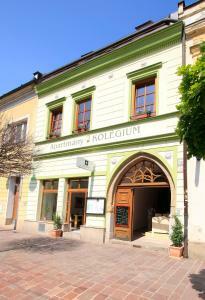 The property also houses the stylish restaurant Kolegium, serving Slovakian and International cuisine. The Trojica Bus Stop is 150 feet away. Aqua Park Plaza Beach can be reached within a 5-minute drive and Presov Bus and Railway Station is 1.6 mi away. 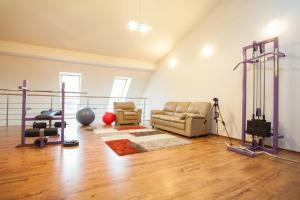 뀐 Located in the top-rated area in Prešov, this property has an excellent location score of 9.5! When would you like to stay at Apartmany Kolegium? This apartment comes with a private bathroom with a shower or a bathtub, a fully equipped kitchenette and a flat-screen satellite TV. This studio comes with a private bathroom with a shower or a bathtub, a small kitchenette and a flat-screen satellite TV. This spacious room comes with a private bathroom with a shower and a flat-screen satellite TV. V máji 2011 otvorené Apartmány Kolégium sa nachádzajú v dobovom meštiackom dome z polovice 16. storočia, ktorý je klasifikovaný ako mestská pamiatková rezervácia. V štýlovom prostredí spájajúcom noblesu starého domu s eleganciou moderného interiéru tu nájdete 4 priestranné, plne zariadené apartmány. Každý z nich je vybavený vlastným sociálnym zariadením, chladničkou a TV. Okrem ubytovania ponúkame možnosť si doobjednať aj raňajky. House Rules Apartmany Kolegium takes special requests – add in the next step! Apartmany Kolegium accepts these cards and reserves the right to temporarily hold an amount prior to arrival. Please note that the restaurant is open for breakfast and lunch only, and it is closed on Saturday and Sunday, as well as bank holidays. Please note that the parking is accessible from Slovenska Street. Hlavna Street is closed for cars. Please inform Apartmany Kolegium of your expected arrival time in advance. You can use the Special Requests box when booking, or contact the property directly using the contact details in your confirmation. the room I got (guess it was number 2) is not acoustically isolated from another room next to it (there is only another locked door serving as an isolation between the rooms). That wasn't very pleasant. Some of the kitchen equipment was dated. Although there was a dishwasher there was no washing machine. A washing machine would be m ore useful in place of a dishwasher. You had to plan showers / baths otherwise hot water ran out. (this wasn't a big deal for us, but maybe if the apartment was fully occupied.) The kitchen tap was loose, but expect that to be picked up by the owner. Very noisy location - our window faced into a busy street with noise and light most of the night. We booked a deluxe room but got a very basic one - although we were charged the basic rate. The beds ( twin, not double as booked) were uncomfortable. Parking was very tight and almost impossible to enter and leave depending on who parked you in. Clean with a good bathroom. Because the studio was right on the main street, it was very noisy on Friday and Saturday nights (until 3 am one night!) - even through double glazing and noise cancelling headphones ... know this if you are booking the front rooms on a weekend. Also the restaurant is not open at weekends and there are limited food choices in the old square, especially for breakfast. Rooms are upstairs - not a real problem, but you need to know this. Quite noisy, as windows overlook the street with buses passing by. 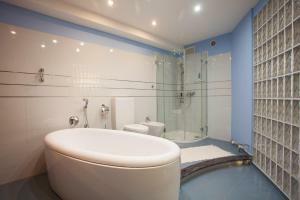 Very nice spacious appartment, big bathroom with both shower and buthtub. Really nice place. Huge apartments. Nice hosts. Good breakfast in nice place) In the morning of leaving we ask to leave our car in the parking for several hours more - no problem free of charge. That was very nice touch! Thank you! Also I had a road bicycle with me so I was able made some training ride in Prasov suburbs. That was beautiful uneasy hilly ride))) Can recommend the place and the city! Air conditioning in the rooms would have been nice. Keeping the windows open at night allowed for noise from some bar revellers we experienced but they were just having some fun singing after a few beers. The manager Peter was very helpful. He was extremely polite and gracious and immediately made my son and I feel at home. He was flexible with our plan changes as we encountered unexpected changes to our plans and he readily accommodated us. This apartment is very close to nearby shops and activities. Very nice location, wonderful breakfast and very friendly Staff ( especially Mr Peter and Miss Franciszka). I advice it to everybody who's gonna stay in Presov. Depending on the apartment you rented, you have to carry up your own bags up a lot of stairs. Be prepared. The biggest thing we did not like was the lack of airconditioning or ceiling fans. It was very hot (28--31C) and we could not get cross ventilation to cool the place off. There were sheer drapes in the bedroom and the sun came up every morning around 4:30 and woke us up. On weekends, you need to remember you are on your own. Also, just a reminder, this is an apartment not a hotel so bring your own soap and shampoo with you. The address is Slovenska 65 which is one street behind the main one as it is a pedestrian zone but there is no number on that section. We worked it out by process of elimination as we found 63 and 67. We did mention that to the staff. Huge space - we rented the 2 bedroom, 2 bath apartment that was 2 storey. Very clean, good location The on site restaurant was amazing (had dinner there Friday evening) but only open monday to friday, as is the available breakfast service. We arrived Friday evening and that meant no place to eat breakfast on Saturday and Sunday. The staff on Friday were wonderful and fixed us up a coldcut, cheese and vegtable tray with local bread and juice for the next two days at a modest cost. The phone call system to access keys was relatively quick and straightforward.